“Food” is an increasingly important topic of our time as food-related issues are becoming more complex. This drives the need for a new generation of industry-familiar, creative, and internationally aware problem-solvers as the world of gastronomy changes and globalises. Le Cordon Bleu looks to respond to this need with new higher education programmes in Japan, a corner of the world at once facing unique food challenges of its own, but also brimming with insight stemming from its rich and historical culinary culture. The Global Culinary Arts and Management Programme is one of Le Cordon Bleu’s first major ventures into higher education in Japan, partnering with Ritsumeikan University. It is intended for students of Ritsumeikan’s new College of Gastronomy Management. The College of Gastronomy Management examines human and social food issues holistically, linking approaches from various academic disciplines to rear a new generation of food industry leaders capable of tackling food problems that cannot be solved by conventional wisdom and values alone. Students enrolled in the College of Gastronomy Management taking the Global Culinary Arts and Management Programme will take a range of subjects from both Ritsumeikan and Le Cordon Bleu Japan. 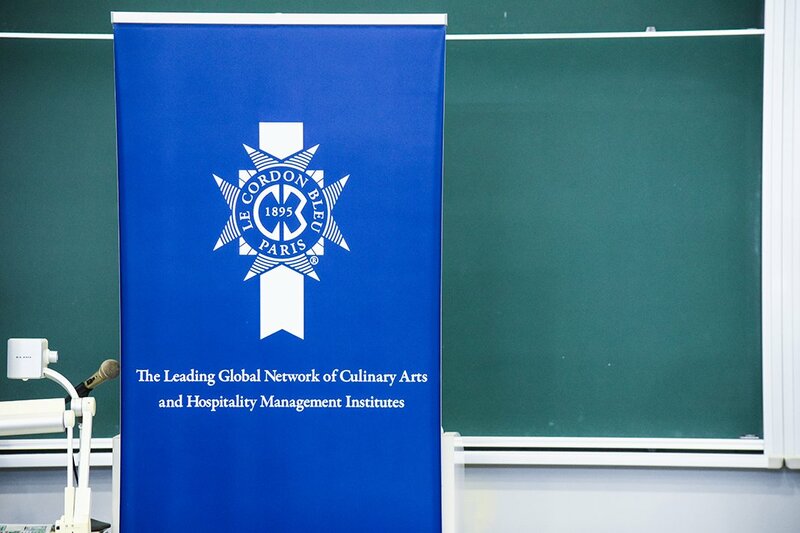 Students will graduate from the programme poised to become the next leaders in the food industry, with both specialised knowledge in the culinary management and a wide perspective on gastronomy at large. We were back at Ritsumeikan Univeristy’s annual Open Campus event this year to promote our joint programme in their newly opened College of Gastronomy Management. apan’s first College of Gastronomy Management at Ritsumeikan University opened its doors on April 1st, 2018, welcoming its first batch of students. The Ritsumeikan Academy is a private comprehensive educational institution in Japan with a rich history and legacy of tradition. We will celebrate our 150th anniversary of the founding of the Ritsumeikan private school and the 120th year of the establishment of the Academy in 2020. The school spirit of liberalism and internationalism was combined with the ideals of academic freedom and vivacity pursued by the Academy, which is now a comprehensive educational institution with two universities, four high schools, four junior high schools and one primary school. 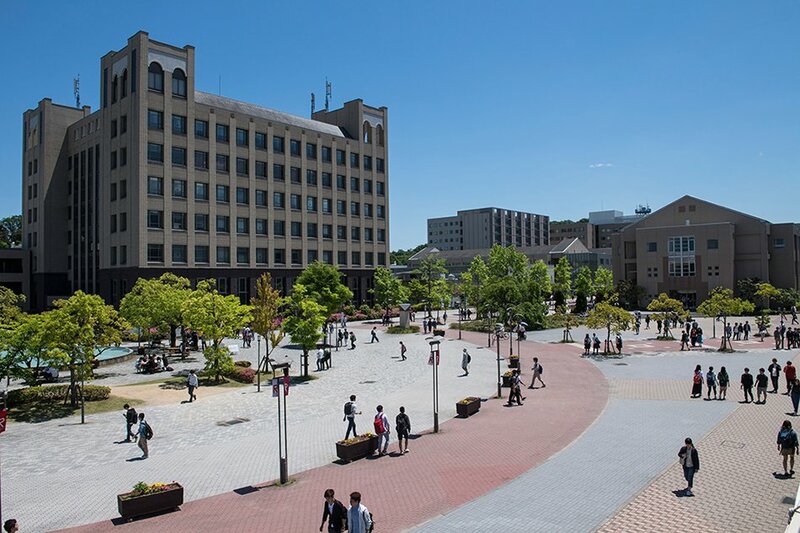 This includes the Ritsumeikan Asia Pacific University (APU) as well as Ritsumeikan Moriyama, Ritsumeikan Uji, and Ritsumeikan Keisho Junior and Senior High Schools. In 2014, Ritsumekan was selected to as a Top Global University by the Ministry of Education, Culture, Sports, Science and Technology (MEXT) to promote the internationalisation of education, as a leading Asian university, to produce graduates who will become leaders in our continually globalising world.